Diet, and in particular, food quality and quantity can influence the reproductive performance of marine predators. Also, the diet of specialist predators is often monitored in programmes that model and manage ecosystems. We examined the diet of Adélie penguins (Pygoscelis adeliae), an important consumer of Southern Ocean living resources, at Béchervaise Island, east Antarctica, during the chick-rearing periods for 11 years between 1991–1992 and 2002–2003. We also investigated the relationship between diet and annual reproductive performance. 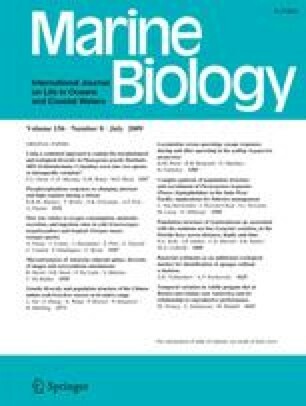 Substantial inter- and intra-annual variation in both meal mass and composition was evident: adults generally returned with larger food loads during the crèche compared with the guard stages, and diet composition was dominated by two prey types, krill and fish, which combined contributed to >90% of the diet by mass in 7 out of 11 years. Females generally brought back meals dominated by krill; males generally consumed fish-dominated meals. However, both sexes returned with a high proportion of krill when annual mean meal mass was also high, suggesting that more food was available in high krill years. There was also evidence that years of high reproductive performance were positively correlated with years of both high meal and krill mass. We believe that our results indicate that there is significant long-term inter- and intra-annual variability in the amount of food available to Adélie penguins and that this was reflected in their diet and measures of reproductive performance. Coupled with the observation that penguins did not switch prey, this indicates that Adélie penguins from Béchervaise Island are dependent predators of krill. This contrasts with populations in other locations but supports the notion that Adélie penguins are an informative species to monitor the management of Southern Ocean marine living resources in this region. We extend thanks to all those who collected and analysed stomach samples, but particularly J. Clarke, and to members of the 44th–55th ANARE expeditions for assistance in the field. Dr. S. Candy and Dr. M. Bravington provided assistance with statistical analyses. Discussions with Dr. C. Southwell on initial manuscript structure were invaluable, and Dr. S. Jarman and Dr. A. Constable gave valuable comments on earlier manuscript drafts. Funding was from the Australian Antarctic Program (AAP), project #2205 and #2301, and by University of Tasmania (UTAS) Post-graduate Research Scholarship and an Antarctic Climate and Ecosystems Cooperative Research Centres (ACE-CRC) Scholarship awarded to MT. All procedures were approved by both the AAP and UTAS Animal Ethics Committees and were conducted in accordance with the current laws of Australia.